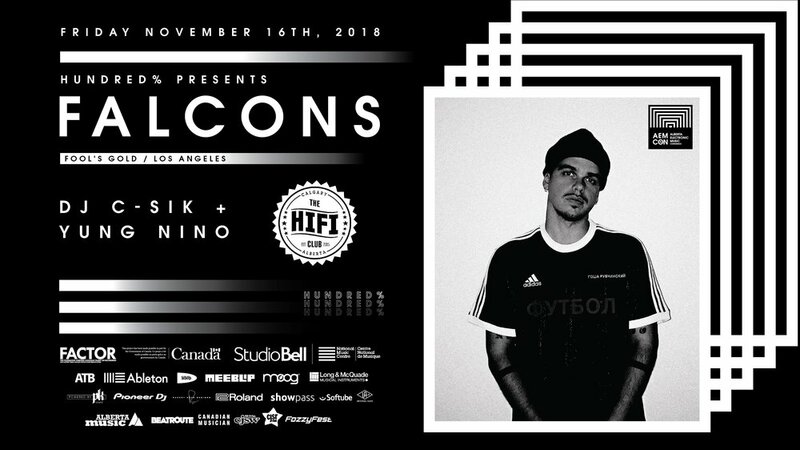 Los Angeles producer/dj FALCONS has arrived at the forefront of a new generation blurring the lines between hip-hop, r&b, and electronic dance music. With his breakout Terra EP on Fool’s Gold Records, the young producer has crafted both radio-ready songs & underground club anthems in one breath. Terra received universal praise from outlets like The Fader, XXL Mag, Mass Appeal, and Complex, while gaining radio play across BBC Radio 1, Beats 1 and Rinse FM. Falcons’ explosive lead single, “Aquafina” featuring GoldLink, quickly amassed over 1 million streams and garnered support from heavyweights like Q-Tip, Virgil Abloh and A-Trak. Falcons has made major impact across the globe, touring his sound across North America, Asia, Europe and Australia with standout performances at Boiler Room and Coachella.